Very soon, my church will be overrun with joyous little faces attached to bodies containing more energy that a nuclear power plant. For the next five nights these guys and gals will clap, scream, run and eat until even the hardiest of volunteers is ready for a soft bed surround by the beauty of silence. And when the lights are switched off and the doors are locked, what will these kids say about VBS? What will they take away from the hours of fun? For years, I have been content to hear kids say that the best thing about VBS was the Samurai game or the colorful craft with the Styrofoam dolphins. As my ears buzzed with kids talking about how much fun they had at church, I would pat myself on the back for a job well done. We’d connected to the little people and could count on them coming back. A light bulb went off. In spite of my church’s heavy emphasis upon Christ, I still expected kids to leave our church impressed with our programming and smiling teachers. In some ways, my expectations were driven by a humble understand of salvation. I know that my teachers and I could not save (John 6:63). Consequently, I did not want to make baptisms our standard of success. I had no desire to start manipulating kids into false professions by offering to repent for them through formulaic repetitions of the sinner’s prayer. But in avoiding one extreme, I slid into the other of being of people pleaser, or more accurately a kid pleaser. I was content to let some activity about Jesus appear to be more attractive than Jesus. I had not been helping kids grasp that Christ is better than everything. And while I want children to have a great time at this year’s VBS, my goal now goes beyond giving kids some summer fun to talk about. This year, I hope the kids leave talking about Jesus. 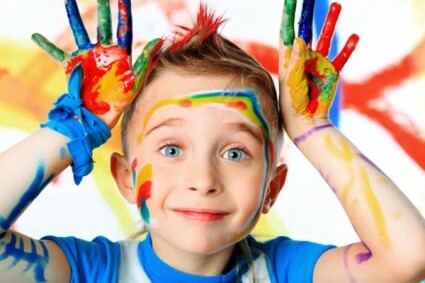 Yes, my church will use upbeat songs, cool crafts, and exciting games to connect with the kids. And yes, I want every child to feel the welcoming love of Christ while they are at church. But these are not the goal of VBS or of our children’s ministry for that matter. They are tools Christians use to help kids fall in love with the all-powerful creator who sent his son to save sinners! The Lord Jesus is way cooler than any cheesy song, decorated Popsicle stick, or slimy game. Jesus offers real life and freedom from the despair of sin! Let’s make our boast in him! Some unbelieving kids may be bugged by our gospel centeredness. But whether it’s as a praise or as a complaint, I pray that every child leaves VBS talking about Jesus! To rekindle and grow in our love for Christ, we have to be daily communing with God by reading his Word (John 8:31-32). We should pray, thanking God for his good gifts to us and asking him to work in the universe (James 4:1-3). Then, we need to worship with our church family so that we will be encouraged to love and do good works (Hebrews 10:23-25). Lastly, we can start studying our lessons a day or two in advance, applying the scriptures to our hearts before we teach them to our kids. If we love Jesus with all our heart, soul and mind, kids will see that our God is amazing (Luke 10:27). 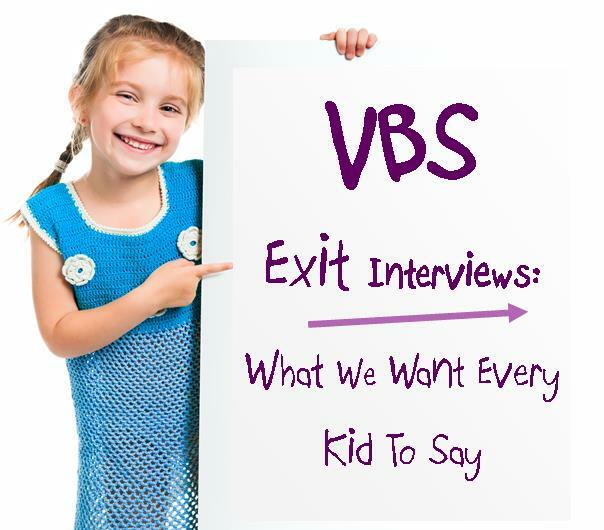 In days ahead, I’m sure I’ll have many opportunities to conduct VBS exit interviews in grocery stores and restaurants around my might little town. And when I get to my final question, I hope and pray that each little respondent says that the best thing about VBS was Jesus! Klumpenhower, J. (2014). Show Them Jesus: Teaching the Gospel To Kids. Greensboro : New Growth Press . Wonderful Analysis Peter. Right on!